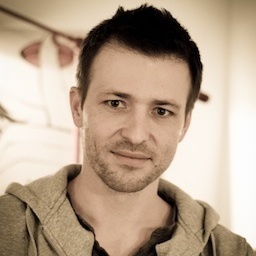 I am Piotr Walczyszyn, a technology geek living in Warsaw, Poland, where I was born. This is my new blog in which I want to express my current interests and share some of my work. I used to write a riaspace.com blog, but after couple of years it turned out that having a domain name with a buzzword wasn’t really a good idea. Technologies change; new trends come and go. These days nobody talks about RIAs (Rich Internet Applications) anymore, and I think this phrase has become almost passé although its main concepts have not. Long-time readers of my old blog probably cared less about its name than its content. Personally, however, I no longer felt good about this old address, so I made a decision to move. I hope this new domain will stick with me for good.